"When iPod is connected to a computer there are times when it should not be disconnected by simply unplugging the USB cable. In these cases, iPod must first be ejected before it can be safely disconnected. Read the information in this article to determine when an iPod can be safely disconnected. Click the eject icon next to the iPod in the Source list or choose Eject iPod from the Controls menu. "You can also eject iPod by using a keyboard shortcut (Command-E)&#151;but only if the iPod is selected in the iTunes Source List. "If the iPod display still shows a screen indicating that it should not be disconnected as explained above, use the method below to eject iPod. Click the Finder icon in the <U>Dock</U>. From the File menu, choose Eject iPod (Command-E). Double-click My Computer (Windows XP and Windows 2000) or, on the Start menu, click Computer (Windows Vista). Choose Eject from the shortcut menu." iskysoft.com has posted a tutorial on how you can extract audio or segments of movies you like, from a DVD and put it on your iPod shuffle, noting that iTunes can import CDs to iTunes but not DVDs, so you need a third party app to extract audio from DVD and convert it to iPod shuffle format like MP3. "Rats may get tumors, and cell-phone companies may feel their pain. "US Sen. Tom Harkin (D-Iowa) will act as chairman of a hearing today called 'The Health Effects of Cell Phone Use' in a meeting of the Senate Subcommittee on Labor, Health and Human Services. The discussion comes as Americans' use of cell phones increased 50% last year, driven by smart phones, including Apple's iPhone, Research in Motion's BlackBerry and Palm's Treo and Pre." "We've stumbled across a pretty annoying bug that's surfaced with the iPhone/Touch 3.1 update. Essentially the iTunes mini-player that was available previously by double clicking the 'home' button has fallen apart. "We've done some research and found a number of users are having the same issue." "Following up on our slew of iPod teardowns last week, we've just finished taking apart the new kid on the block: the Zune HD. Microsoft has taken a long time to get to market with this device, and the hardware shows it. It's lighter than the iPod touch, smaller in two dimensions (skinnier and shorter, but 0.4 mm thicker), claims better battery life with a smaller battery, and beat Apple to market with an OLED screen. "We were very curious how Microsoft's new music player stacks up with the updated iPod touch, so we decided to take it apart! The Zune has a Samsung-manufactured 3.3 inch OLED display. This part is likely the most expensive item on the Zune's bill of materials, and contributes to the improved battery life. The Zune has an Nvidia Tegra 2600 processor, supporting OpenGL ES 2.0 and programmable pixel shaders. In a stark contrast to Apple's relationship with Samsung, Nvidia's product page (http://www.nvidia.com/object/product_tegra_apx_us.html) actually has a link to buy the Zune HD. The battery capacity is 660 mAh. That's about 16% less than the 789 mAh battery in the new iPod touch. However, Microsoft promises a longer run time than the touch for both music and videos. They may have pulled it off - Microsoft certainly had a lot of motivation to push for super low-power hardware solutions in this device. Toshiba supplied the NAND flash in our unit, and Hynix provided the SDRAM. However, we've had reports that Microsoft is using a few different suppliers for these parts. If you have specific questions about the Zune HD, let us know and we'll be happy to dig up the answers for you. 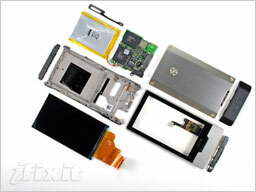 For comparison, the iPod touch Teardown. PR: KB Productions announces Car Care 1.30, a new version of the popular gas mileage and automotive maintenance tracking solution for the iPhone. Fuel economy is automatically calculated for iPhone and iPod Touch users, using miles or kilometers, gallons or liters, in the user's units of preference: MPG, L/100 km, MPG (UK), or km/L. Reminders for services appear on the app's badge icon to help make sure all your vehicles get the necessary oil changes, tire rotations, and any other type of service. Car Care 1.30 adds full map integration, 'reset' functionality in case you miss a fill, improved email export, and plenty of help for first-time users. One question on the minds of some drivers: "Where exactly was that gas station with the great beverage selection?" Full map integration helps you with the answer. Car Care uses the iPhone's location services and built-in maps to show where on earth was the gas station with the great hazelnut espresso. It can also show the location of your last oil change where they recommended lots of unnecessary services .... help avoid those questionable garages by knowing exactly where in town they are! You can plot a map of all gas or service entries over the last week, month, year, or all time. 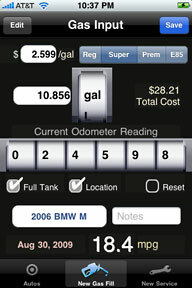 If you forget to enter a fill into your iPhone or iPod Touch, you can now designate a gas fill to reset the fuel economy calculation. You can always change it later, in case the receipt for the missing fill-up is found. Car Care is the most international fuel mileage app on the store. It is translated into many languages: German, French, Japanese, Traditional Chinese, and Simplified Chinese. Any currency throughout the world can be used, as well as any octane of fuel and any service type, whether your vehicle uses unleaded gasoline, diesel, E85, Super, or any other fuel. Car Care 1.30 helps users eliminate the paper clutter of the little notebook in their automobile's glove compartment, and eliminate the tedious calculation of fuel economy and important-yet-forgettable scheduled vehicle maintenance. It allows entry of an automobile's insurance number, license plate, VIN number, and a big photo of the vehicle using the iPhone's camera or the photo library. Car Care 1.30 is available immediately for $4.99 exclusively at the iTunes App Store. PR: TapFactory Apps introduces "Stick It", a utility that allows you to quickly and easily take notes, customize their look, and create wallpapers for your lockscreen to use as quick reminders. Take notes on the fly with Stick It's quick loading, visually appealing, and easy to use interface. 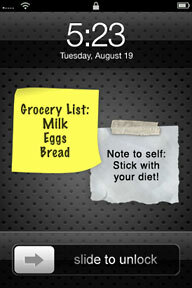 Use Stick It to create personal reminders, shopping lists, special notes to your loved ones, and more! 17 styles of notes, papers, and objects you can add text to ranging from multicolored Post It notes, a variety of scrap papers, speech bubbles, and signs. 25 backgrounds to choose from including beautifully designed textures such as quarkboard, wood, metal, and paper, as well as solid colors, and the ability to use any photo from your Camera Roll or take a new one! Full customization of your notes with multiple font styles, sizes and colors to choose from. Preview feature which allows you to preview your lockscreen with your current Stick It layout to give you an idea of how it will look without having to leave the app. Stick It will automatically save your notes so you can pick up where you left off. Email your notes directly from the app. Stick It 2.0 is 99¢ and available exclusively through the App Store. PR: Mitek Systems, Inc. have announced its Mobile Phax App is now available on the App Store. With Mobile Phax, users simply take pictures of documents using their mobile phone, and the app turns them into high-quality images that are printer-friendly and sends them to as many recipients as you like. With Mobile Phax, mobile professionals now have all of the benefits of the fax machine without having to be in the office, or worry about finding a nearby copy center that is open when they need it. "The incredible quality of the camera on the iPhone combined with Mitek's IMagePROVE technology makes Mobile Phax possible," said James DeBello, president and CEO, Mitek Systems. "The quality of the optics and the resulting images, produced by Mobile Phax allows users to send a Phax instantly no matter where they are." With Mobile Phax, you can now turn a hard copy of a document into a PDF, just as you would with a traditional fax machine or scanner, but on the go. 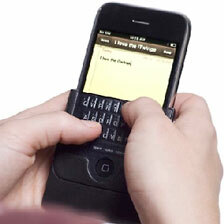 Hit "send," and your Phax is sent to the recipients and copy to you with the document as a PDF. As photos of each page are taken, they are uploaded to the Mobile Phax servers where our patent pending IMagePROVE technology automatically crops, rotates and scales the image as if you carefully photocopied each page of a standard 8.5"x11' or A4 document. The cleaned up image is then converted to a PDF for easy emailing as a Phax. Mobile Phax is available for $4.99 from the App Store. The Mobile Phax app includes the first 50 Phax pages, and additional Phax pages are available for purchase through the App Store. Mobile Phax is part of Mitek's family of innovative Office On My Phone ("Oomph") apps that unlock the potential of the millions of mobile phones with cameras sold each year, and includes Mobile Deposit - that allows users to deposit checks via camera-equipped mobile phones, and Mobile Receipt= that enables professionals on the go to create and submit expense reports with photos from their iPhone, available now on the App Store. Plug it in. Turn it on. Type! Mobile Mechatronics is committed to enhancing the mobile phone experience through greater productivity, and ease of use. Mobile Mechatronics' product philosophy is to keep product design as simple as possible to provide design elegance, high reliability, and low cost. Mobile Mechatronics was founded by an experienced team with complementary skills, a shared vision for the potential of the smartphone, and a passion to build great companies. 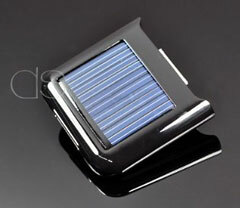 PR: This Solar Energy Charger can charge your mobile devices anytime and anywhere. With solar energy absorbing panel, this makes this the most convenient and mobile charger. Just attach it and let the sun and light charge it for you. Use your USB cable so it can also charge with any adapter, laptop or computer. It is highly recommended to fully charge the device using the USB charger for the first two usages. Currently available from Amazon.com for $26.91 shipped. 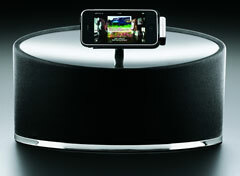 PR: Bowers & Wilkins' iconic Zeppelin redefined what could be expected from an iPod speaker system. Digital music needn't be harsh, brash, or unpalatable - it can be delivered in glorious high-fidelity. Plus, the device that provided this amazing sound could be a thing of beauty. Two years and an unprecedented collection of glowing reviews and prestigious awards later, Zeppelin is joined by Zeppelin Mini. 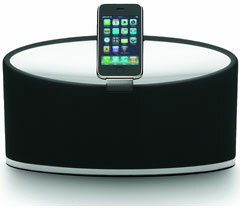 Zeppelin Mini attains the same high standards in sound quality and design set by Zeppelin, but in a more compact form. It is reduced in size, not in sound, and has amazing volume levels for such a diminutive package. It's ideal for lounges just like its larger sibling, but it can easily be slotted into a bedroom, kitchen, or student digs. Key differentiating features include an updated docking arm. On the original this innovative solution worked incredibly well, allowing hassle-free mounting of any iPod, and easy access to Apple's user-friendly interface. These qualities remain, but the addition of USB connectivity allows Zeppelin Mini to bypass the analogue output stage of any iPod, providing access to the very best digital sound an iPod has to offer. From this beneficial acoustic starting point Bowers & Wilkins' decades of experience producing the very best speakers for demanding customers such as Abbey Road Studios, and advanced Digital Signal Processing combine to create a sonic experience that belies the compact stature of Zeppelin Mini. The recent work Bowers & Wilkins has undertaken in the area of DSP-intensive projects such as the in-car system for the new Jaguar XJ have provided knowledge and advances found in Zeppelin Mini, in the same way the legendary Nautilus informs all Bowers & Wilkins current speakers. For example, a key Bowers & Wilkins technology such as Flowport combines with digital advances such as Digital EQ to provide a clean, room filling sound, with base levels that have to be heard to be believed. But Zeppelin is about more than amazing sound - it has been hailed by many as a design classic - and the iconic design of the original is reflected in the Zeppelin Mini's subtle curves. Add to this the attention to detail in terms of materials and construction that Bowers & Wilkins is justifiably famous for and it's a worthy addition to the Zeppelin family. 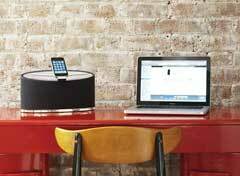 The Zeppelin Mini also adds the ability to stream music direct from your PC or Mac via a dedicated USB socket. This allows you even more flexibility in terms of how you play your music, and any computer system will benefit from the improved sound quality and digital processing that Zeppelin Mini's advanced Digital Signal Processing and drive unit technology offer. This USB connection also has the advantage of letting you synchronise your iPod or iPhone with your computer. PR: Pioneer Electronics (USA) Inc. showcases new audio offerings that elevate the listening experience in other rooms of the house beyond the home theater. Pioneer's two new iPhone - certified tabletop sound systems and new Sound Bar with wireless subwoofer are engineered for critical listeners who seek the best sound performance, even from today's new media devices and compressed music files. CEDIA Expo attendees can engage with Pioneer's new audio products at Booth #3009. Combining stellar sound performance and exceptional build quality, Pioneer's first iPhone and iPod certified tabletop sound systems, the XW-NAS3 and XW-NAS5, have been finely tuned and calibrated for optimum sound. Pioneer's EX speaker designers spent extensive time sound-tuning the systems to appeal specifically to North American preferences for high fidelity with rich bass, wide frequency response and dynamic musical sound-field. Most recently, Pioneer has been recognized for the design and development of the award-winning TAD professional and Elite EX speaker lines as well as the Company's latest architectural in-wall and in-ceiling speakers. The new 2.1-channel full-range speaker systems feature a dynamic digital amplifier and integrated subwoofer for faithful reproduction of bass and lower frequencies. Both units are Bluetooth-ready for wireless control and streaming capabilities of music files from the new iPhone 3GS, iPod Touch 2G and other Bluetooth enabled models via an optional accessory (BT-100). Pioneer's new sound systems employ component and composite video output for playback of stored movies, TV shows and other video files from the docked digital device. For the finely tuned ear, the XW-NAS5 also features Pioneer's proprietary sound enhancement features, including Advanced Sound Retriever (ASR) and Auto Level Control (ALC), developed specifically to improve the listening experience of portable audio devices in the home. Pioneer's continued commitment to develop and introduce innovative products that advance the home theater experience has led to the launch of its HTP-SB300, Sound Bar speaker solution. The powerful 3.1-channel system integrates 250 watts of power, dual center channel speakers, a wireless subwoofer and dual HDMI inputs for simple connection, high-resolution audio and video output. With aesthetics and sound quality in mind, the Sound Bar produces robust virtual surround sound in an elegant two piece, wire-free design. Staying true to Pioneer's audio expertise and the industry's audio trends, the system decodes the latest HD audio formats: DTS, Dolby Digital PLUS and Dolby TrueHD. Intended for on-wall installation to accompany 32" - 37" displays, the Sound Bar is ideal for second room audio or for a small living room. Pioneer's Works with iPhone-certified sound systems and Sound Bar will be available in Winter 2009, pricing to be announced. PR: This Mosaic Series was made perfectly for your iPhone 3G. It is tough and durable with nice metallic finishing, resulting a smooth and high reflective surface. 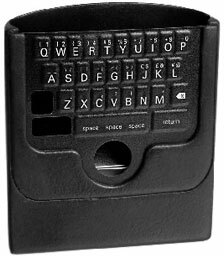 The feature of this case is allowing you to access all the button controls of the phone without removing the case. The full round protection can prevent and shield iPhone from scratches, damages and dust. PR: TuneWear has announced that it is now shipping a new collection of protective cases for the 5th generation iPod nano. New cases include IceWear, TuneShell, TuneShell Starter Kit and ColorShell Starter Kit, all made for iPod nano 5G. 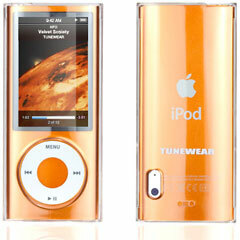 TuneFilm protective film has also been updated to fit iPod nano 5G. 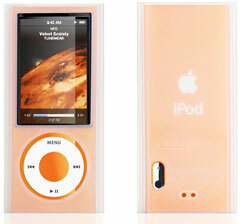 IceWear for iPod nano 5G utilizes our patented rib technology for a strong grip when carrying or making videos. Made of the same high-density silicone used in diving masks, IceWear for iPod nano 5G protects the iPod from accidental bumps and drops. Embossed edges around the screen prevent scratching when placed face down on a flat surface. Included free is TuneFilm, a clear protective film which covers the LCD and click wheel for extra protection. Easy to install, it leaves the headphone jack, camera, bottom dock connector and click wheel open for complete access to iPod controls. IceWear for iPod nano 5G comes packed with four convenient and functional peripherals: TuneFilm protective film, cleaning cloth, neck lanyard and donut shaped cable winder. TuneShell for iPod nano 5G is made of crystal-clear polycarbonate allowing you to enjoy the color of your iPod nano 5G while protecting it from dirt and scratching. This hard but thin case seems almost invisible when installed. TuneShell easily snaps on to your iPod nano 5G, and leaves the headphone jack, camera, bottom dock connector and click wheel open for complete access to iPod controls. TuneShell for iPod nano 5G comes packed with four convenient and functional peripherals: TuneFilm protective film, cleaning cloth, neck lanyard and donut shaped cable winder. TuneFilm is easy to attach and can be peeled off for reuse. Inside the package is a handy cleaning cloth for your iPod nano 5G. IceWear for iPod nano 5G ($19.95), TuneShell for iPod nano 5G ($19.95) and TuneFilm for iPod nano 5G ($9.95) are now shipping and is available for purchase at the TuneWear online store. TuneShell Starter Kit for iPod nano 5G and ColorShell Starter Kit for iPod nano 5G are available for purchase in Japan. PR: With the introduction of the new iPod line from Apple, Belkin launches new cases that offer stylish and functional protection for the iPod nano, iPod touch, and iPod classic. Showing off the latest color trends, such as garnet and citrus yellow, Belkin designed these cases to complement everyday iPod use. The Grip Ergo with Hand Strap lets you comfortably hold your iPod touch while gaming or texting without worrying about it slipping from your hand. 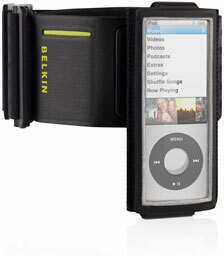 Securely fasten your iPod nano in your hand while walking or running with the Hand Band case. Cases in select styles for all iPod models will be available starting mid-September 2009 in North America, Europe, Asia, and Australia. Other styles will continuously be made available for purchase through late November 2009. Grip cases protect your iPod with a rugged layer of silicone. Different textured designs add style, color, and increased grip-ability. With an included screen overlay to prevent surface scratches to your iPod touch, Grip cases allow your iPod to charge while in the case. Made from polycarbonate and rubber materials, these cases protect your iPod devices while providing increased grip-ability. These sleek, slim cases offer maximum protection while allowing full access to the iPod touch screen and buttons, iPod nano and iPod classic click wheel, and connector. 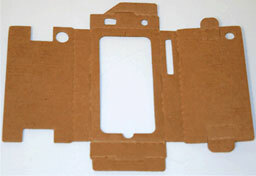 A protective screen overlay is included with all iPod touch cases to prevent your iPod surface from getting scratched. These fashion-inspired leather cases protect your iPod devices from everyday scratches and scuffs. PR: Tough times call for tough cases and that's where the recession case comes in! The recession case lets you keep cash in your pocket without sacrificing on unique design for your beloved iPhone! But just in case one isn't enough Case-Mate has the BAILOUT BUNDLE - 10 cases for $7.99. 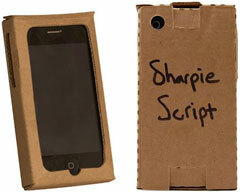 Case-Mate are now offering FREE "Sharpie Script "personalization on the recession case! Just leave "Albertus Medium" selected and you will get your very own personalized recession case! If ordering a bundle we will personalize the first case. Note, if you are purchasing the recession case (or Bailout Bundle) alone and select free ground shipping, the cases will ship USPS first class mail and not standard ground shipping. USPS first class mail has an estimated delivery time of 5-10 business days. If you are including additional case-mate items with your order the recession cases will ship standard ground with your other items.